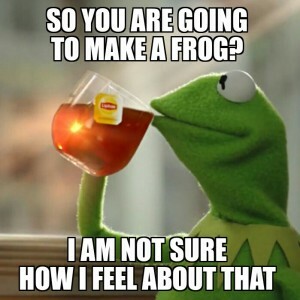 Home » Blog » Have You Made a FROG Before? 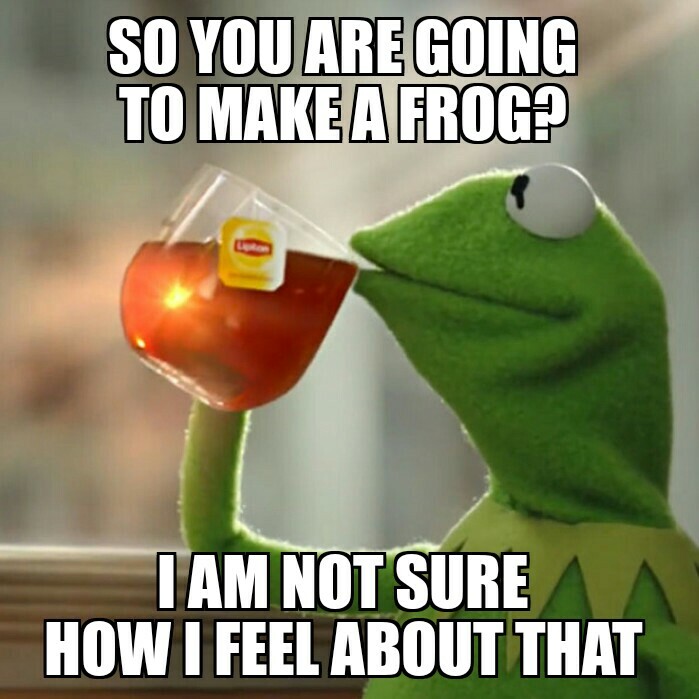 Have You Made a FROG Before? This is not about a “frog” in dissection or teaching a science class. FROG stands for Free Resources Online Grouped (FROG). In today’s connected world of abundant digital resources we need a filter that allows us to engage with certain topics of interest and weeds out the millions of hits. Therefore, a FROG is any one of the hundreds of ways to group free resources online. As a teacher, parent or ambitious student, we can curate resources that would help us learn and teach. The following will consider three common ways to build your FROG: Pinterest, Youtube and # pound sign. The FROG can be a tool that leads to exponential learning for an individual or a team that is self-directed. My favorite FROG is Pinterest. I first learned about Pinterest from a TechChange Course called Social Change through Social Media. In the course, we learned about Pinterest and Bundlr as ways to curate content. As I played with these tools, I saw a great value in curating ideas to enhance my future lessons in my ninth grade class. If I had not learned about Pinterest in this setting, sadly, I may have never adapted Pinterest into my practice as there is a huge female stigma around it. Fortunately, I began to curate resources around key themes that I thought may be useful. The advantages that I see in Pinterest are that it allows one to pin all forms of media including blogs, articles and videos. The image pinned of all these different media make it visually stimulating to sift through. It creates an experience of exploration. The following year an incident happened in my class that sparked an action research study on the use of Pinterest with Self-Directed Learners. I had shown a video on the Socketball to class and students asked if I could email them the link. I casually said that it is on my Pinterest Board and you can easily view it there. The following week I had to two girls in my class that shared that they went and watched about 15 short videos that included TED Talks and read over 20 quotes in relation to social innovation. That was the beginning of the targeted research project that led to the formulation of FROG and the following are a few quotes from the research. Although, I love Pinterest, I have met teachers, parents and students that are not fans which is absolutely fine. The point here is to make a FROG (Free Resources Online Grouped). Youtube can make a great FROG. I am remember having a conversation with a math teacher recently who was thinking about flipping her classroom. Creating a Youtube channel and adding a playlist for the concepts you want to teach is not that hard. In fact, it is a lot easier than recording your own video for every concept. Imagine if the teacher gave out a youtube channel with a playlist containing short videos of the concepts you struggle with in class. It would be an incredible tool where you could see multiple examples and make many real world connections across disciplines. The playlist could contain great videos across platforms such as Veritasium, Khan Academy and TED. The channel could be used year after year, enhanced and refined based on student feedback. A similar FROG could be made by a parent or an older sibling that wants to help a child with a subject they are struggling with or cannot relate to. The last type of FROG to consider is one that is probably the most commonly used. It is the hashtag. The hashtag on twitter allows you to curate resources quickly and easily. The Hashtag is also being used in many platforms beyond twitter such as Google+, Google search, Facebook and Instagram. The Hashtag depending on the platform is not only a FROG but it may be the easiest method to create a FROG. Sustaining and maintaining the FROG may not be as easy with the Hastag and tweets as there would be little control and a challenge for longterm usage. The Hashtag as a FROG may be wonderful in collaborative learning and peer to peer learning to curate a FROG later. Pinterest, Youtube and Hastag are three types of FROG in which hundreds exist. The power of the FROG rests in the hands of the learner. The FROG enables a self-directed student to see what they may have never seen before. As a teacher, empower your students and help them learn more outside of your classroom. As a parent, recognize that a child will take time to learn and having curate material may make it easy to review. As an innovative student leader, curate resources that you and your team can learn and grow from. Make a FROG now in any platform around a topic that you think will benefit people. Share your FROG with us on twitter @buildmyidea.org as we would love to hear about them. If you like this website, visit StarlightCommunication or email info@starlightcommunication.com for a custom design.